Hibernation Fries loaded with ground beef and cheese. The Jager BBQ sauce Bear burger. Colin’s famous chili. The Gangster Philly. All good stuff. But they’re all, I guess you could say, heavy. There needed to be something light on the Blind Bear’s menu to balance out all the heavy items. The Caprese Salad fills that void. The salad is an Italian classic, with thick slices of buffalo mozzarella cheese alongside sliced tomatoes and basil, drizzled with a balsamic reduction. I decided to order it mid-afternoon yesterday. I wasn’t hungry, but I knew I needed to eat. This was yummy and it didn’t make me feel full. 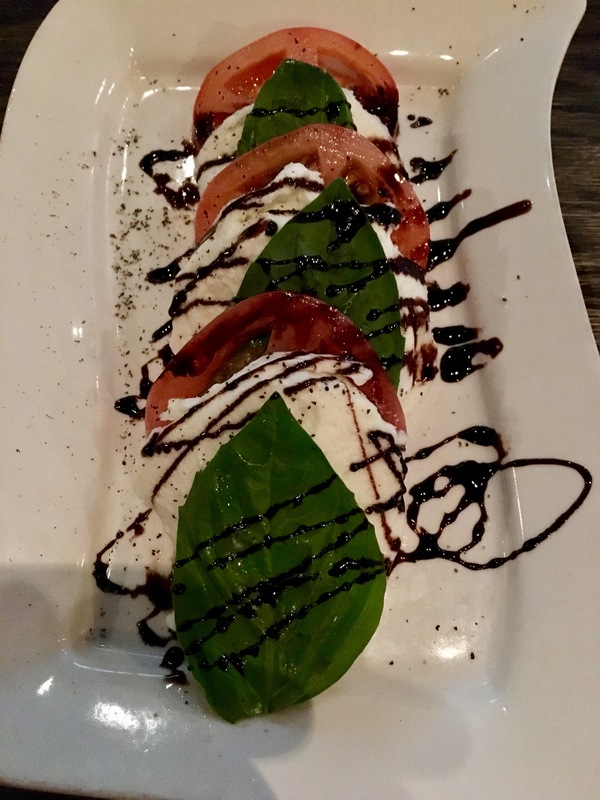 I have a feeling there may have been people, ladies in particular, who have thought in the past, “I like the Blind Bear but there’s nothing on the menu I can eat there.” Come check out the Caprese Salad. A menu option that will get more women in the place – I am all in favor of that! Happy New Year to all my readers! I will be on the way to the Blind Bear here in a couple of hours, for Sunday Hung Over Like a Bear Brunch, also known as D-RANKS with B-RAD. It’s bonus day – a Sunday without a Monday behind it – so who knows what kind of mischief there is to get into? 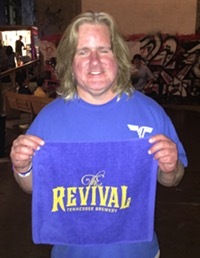 The amateurs have consumed their $18 martinis and gone “woooooooo” and now they’re back in Collierville where they belong. Time for the pros to come out!